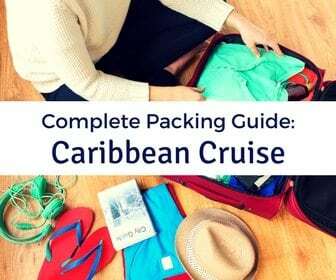 As both a stop on many cruise itineraries and a departure port for Southern Caribbean cruises, San Juan, Puerto Rico hosts plenty of cruise ships. If you cruise the Caribbean, you are bound to stop at this island. 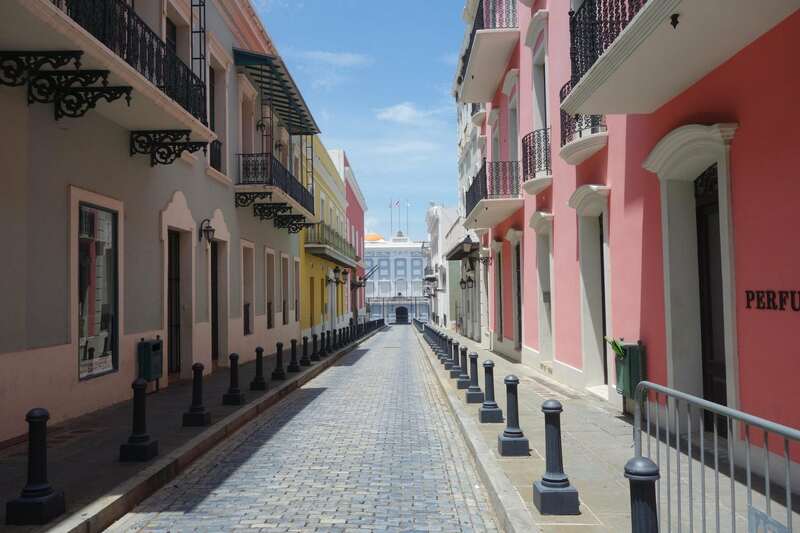 As the second oldest European settlement in the Americas and the economic center and capital of Puerto Rico, San Juan offers plenty of history, culture, sightseeing, food, and fun. 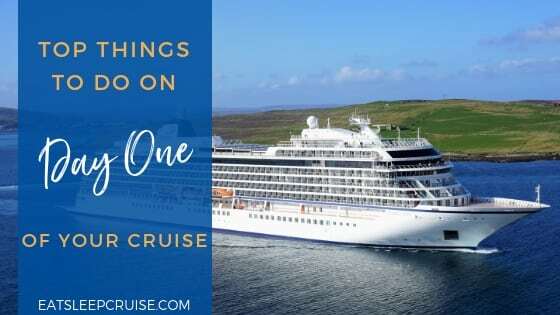 We have put together a post on our recommendations for the Best Things to do in San Juan on a Cruise to help fellow travelers figure out what to do while docked in this city. 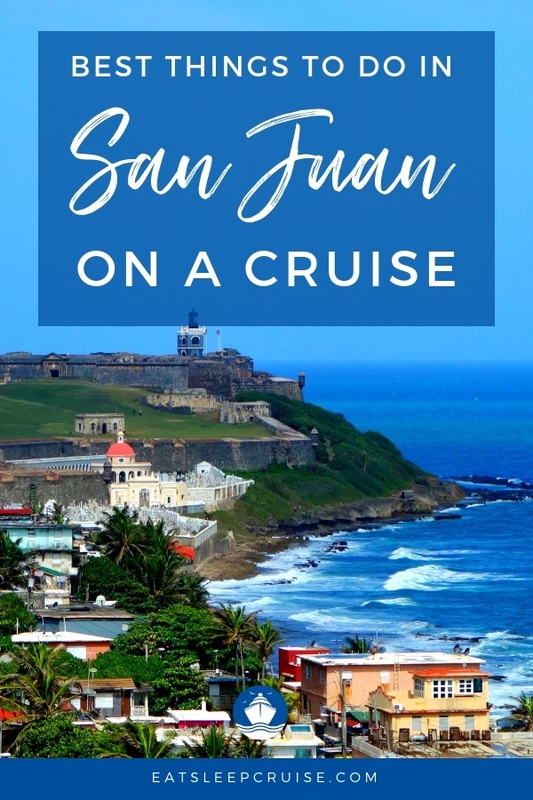 If your cruise ship is stopping in San Juan for the day, you will mostly like a dock at Old San Juan, whereas ships leaving from San Juan to other Caribbean destinations depart from the Pan American Pier across the harbor. 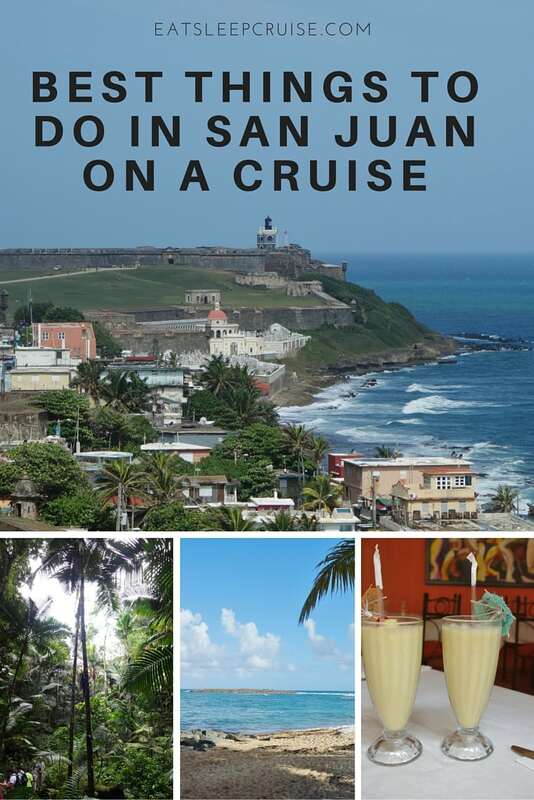 No matter where your ship is docked, there are plenty of things to do in San Juan. 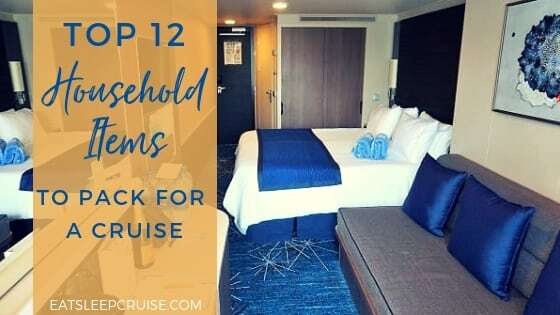 Whether you are in San Juan for just the day or are planning an extended pre-cruise or post cruise stay, seeing Old San Juan tops our list of the Best things to do in San Juan on a Cruise. 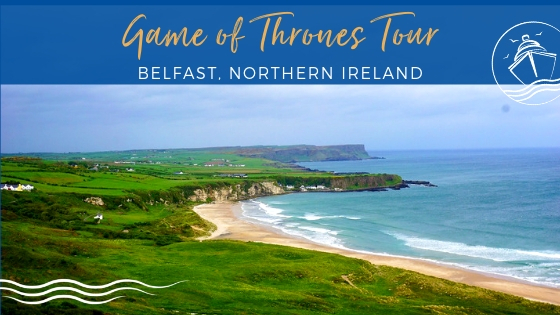 The cobblestone streets, fortified city walls, and city layout will transport you to the 16th century. 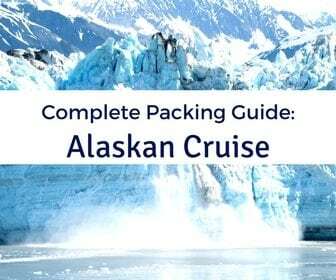 The area is easy to navigate on your own, but even better when led by an expert guide. 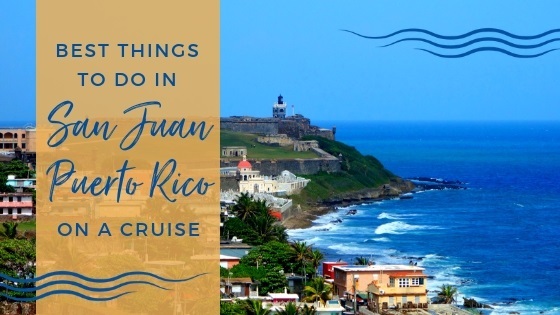 There are plenty of sites to see, which are accessible either by foot or the free trolleys, including the largest fort built by the Spanish, Fort San Cristóbal, and Fort San Felipe del Morro, the massive fort that can be seen by cruise ships as they sail into San Juan Harbor. Your tour can also stop at some historic hotels and churches, including the oldest church, San Jose Church, or the Cathedral of San Juan Bautista, where the remains of explorer Ponce de Leon currently reside. 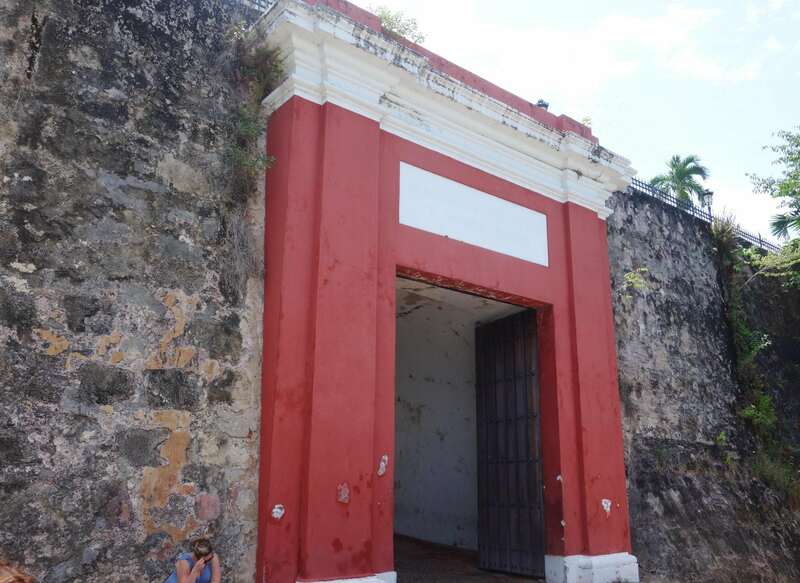 During your travels, walk along the exterior walls of the old city (known as Paseo del Morro) to the San Juan Gate, a massive red gate that greeted travelers coming to this new world. There are also plenty of other sites you can see on your self guided tour, including stops at the local shops and restaurants. So, be sure to map out your trip, grab your sneakers, and get exploring! Located slightly over a half hour from San Juan, sits the El Yunque Rainforest. The only tropical rain forest that is part of the United States National Forest Service, this well-maintained forest is home to some diverse plants and animals. Among the forest’s occupants are 26 different species of trees, the coqui which are tiny little frogs that are known for their mating “songs”, and the todies which are small green birds that are also known for their song. At an elevation that is about a half mile above sea level, El Yunque Rainforest sits on a mountain, which means it is a pretty steep climb to get into this natural habitat. Experienced hikers will find the forest easy to maneuver as the hiking trails are well marked. Maps can be obtained at the Visitors’ Center or downloaded online, which include descriptions of sites to be seen on the 24 miles of trails. 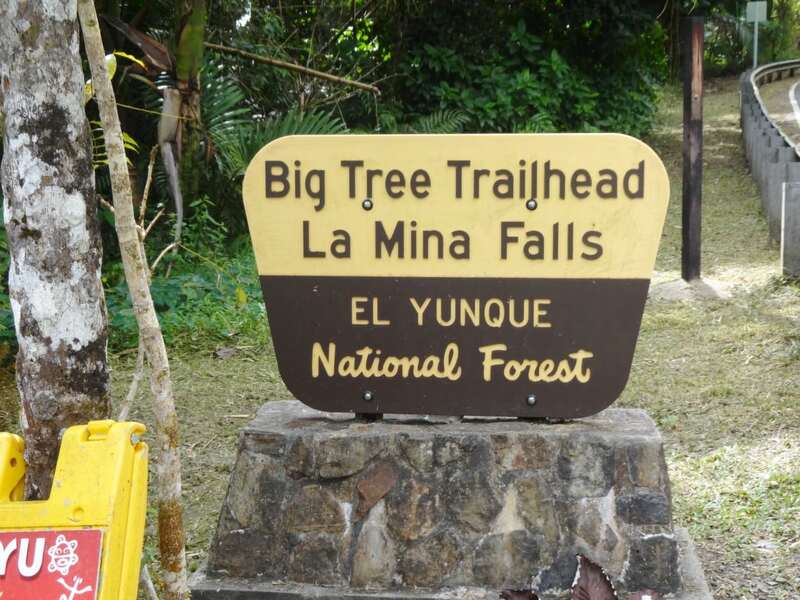 Some third-party companies also offer guided hikes and walks through El Yunque. The Princess and I took one of these tours during our visit in 2014, offered by Enchanted Island Eco Tours. Whether you go it alone or as part of an organized tour, the El Yunque Rainforest is an amazing natural wonder. 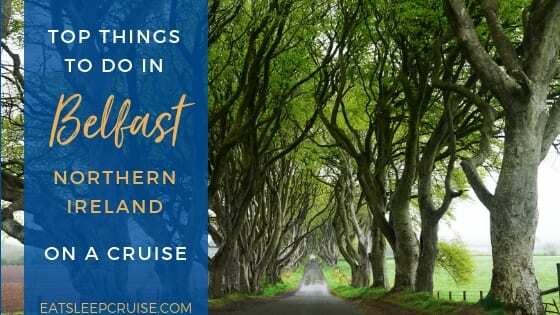 While farther out from San Juan, if you are visiting Puerto Rico at night, then you must make the trek out to the eastern region of the island for one of the most illuminating experiences you will have on a cruise vacation. 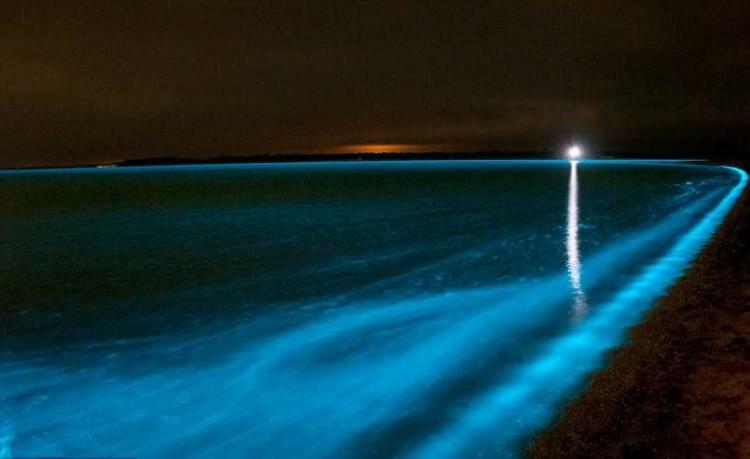 Thanks to the high concentration of hundreds of thousands of single cell organisms, some bays in Puerto Rico have a blue glow that is visible at night. When these tiny organisms, or “dinos”, come in contact with other objects, they release a blue glowing light. 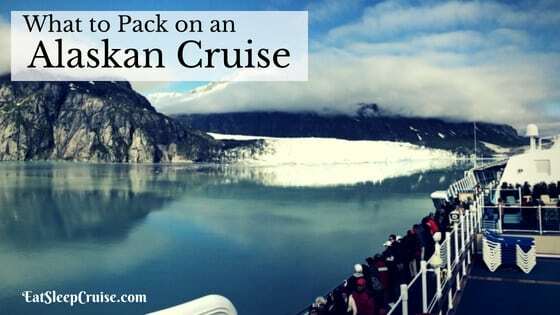 Depending on your appetite for adventure, there are two different sites that offer the best opportunities to see this natural phenomenon. If you want to stay on the main land, then you can explore the bioluminescence at Laguna Grande in Fajardo. About 75 minutes from San Juan, a variety of tours are available including a nighttime kayak tour which is offered by Enchanted Eco Tours. After a safety briefing, all travelers are provided a life jacket and led to the bay where you can kayak and immerse yourself in the blue glow for close to two hours. Located in the Vieques Bay, off the southeastern coast of the main island of Puerto Rico, sits Mosquito Bay. A short boat ride to this region is well worth the trek as this bay was rated by the Guinness Book of World Records as the brightest bay in the world. 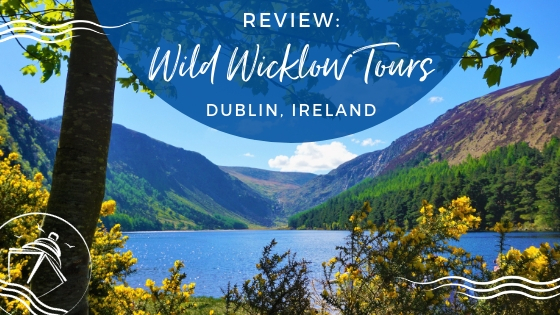 Again, several tour options are available, including a motorized tour of the bay complete with informative guides and plenty of time to see the bioluminescence in action. If you are visiting San Juan, then you may want a little rest and relaxation, or as the locals may say, a siesta. 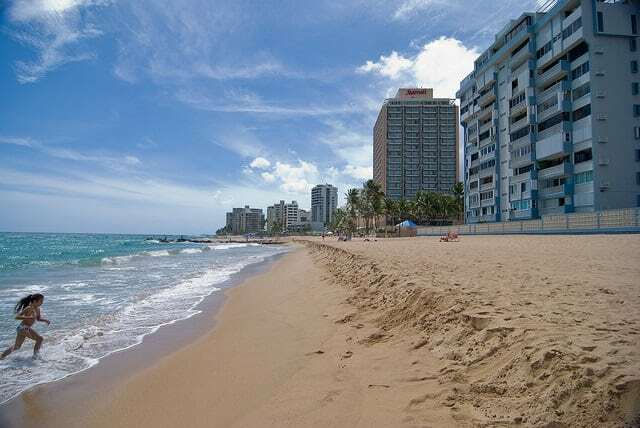 If your idea of a vacation includes a beach break, then you are in luck as there are some very nice and easy to get to beaches near this port, making a beach break one of the Best things to do in San Juan on a Cruise. 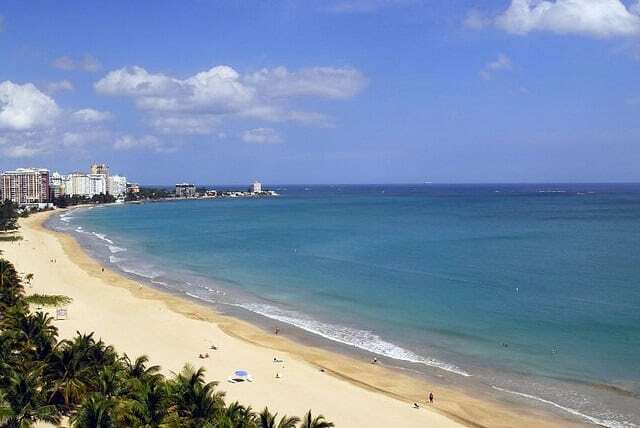 If you are looking for some fruity drinks with umbrellas and access to restaurants and hotel resorts, then Condado Beach is perfect for you. Located right near the hotel district, it is not exactly a remote beach, but it definitely has some perks including many options for water sports, the opportunity to utilize hotel amenities for additional costs, and the ability to rent chairs and umbrellas. 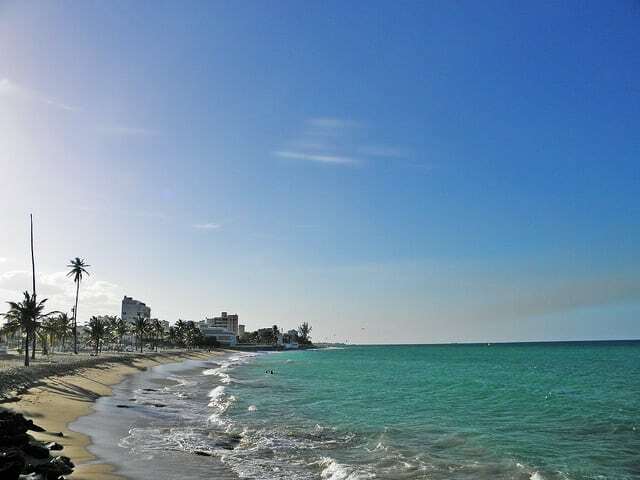 If you want to venture outside the city, Isla Verde is a short cab ride from most major hotels or the cruise port and is located near the airport. It is definitely more populated than some other beaches, but if you are looking for a more lively party scene then this is where you want to be. 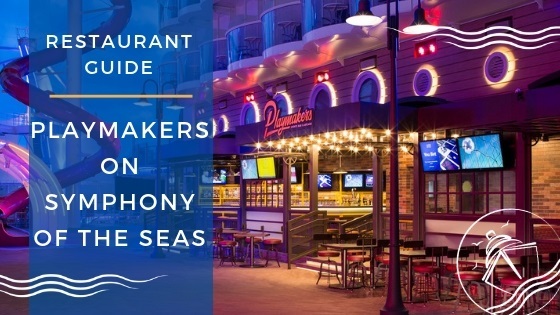 Here, you will have a variety of options to purchase food and snacks at nearby venues and can rent chairs and umbrellas too. It can get crowded, so make sure you get there early. If you are looking for a family-friendly beach that offers nice calm waters and plenty of sand then Ocean Park Beach should be your destination. This wide beach is open to the public and includes regular security to ensure everyone is safe. A bit more secluded than the other beaches, you will need to walk quite a ways to get things like drinks and food, so pack your day bag appropriately when visiting. The beach can get livelier on the weekends when the “locals” come out to play. No stop in San Juan would be complete without paying homage to the brand that introduced a lighter, more mild rum and revolutionized rum as we know it. 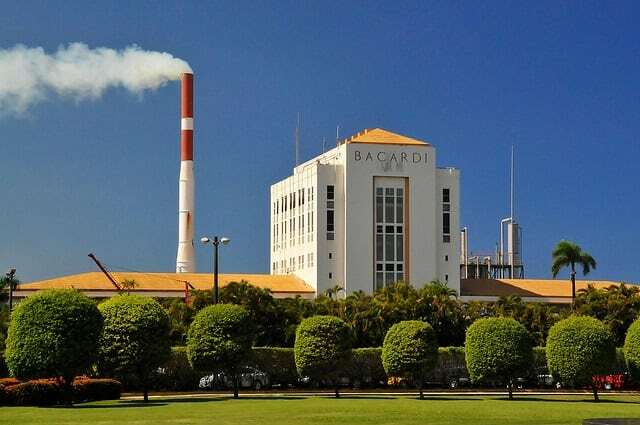 As one of the world’s most popular spirit brands, the Bacardi Rum Distillery is only minutes away from your cruise ship. If you are in the Caribbean, there is no better place to sample rum than this famous spot. Tours of the distillery run frequently throughout the day with three different options available. The tour includes information about the history of the Bacardi family, along with how the rum is made, and you can even get some great new recipes to try at home. A basic tour, which lasts about an hour, includes a stop at the visitor center and a welcome drink. According to recent reports, you no longer tour the actual factory. Instead, additional buildings have been built with displays and exhibits, almost like a museum, that is specifically designed for tours. 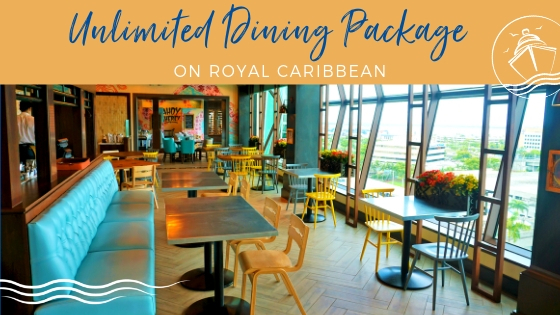 You can also opt for one of the other tours in which you can indulge in a rum tasting and/or learn the mixology, where you can become the connoisseur of what it takes to prepare some legendary cocktails. Have you traveled to San Juan, Puerto Rico? 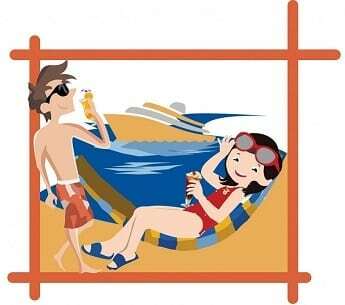 What are some of your favorite things to do while at this port of call? 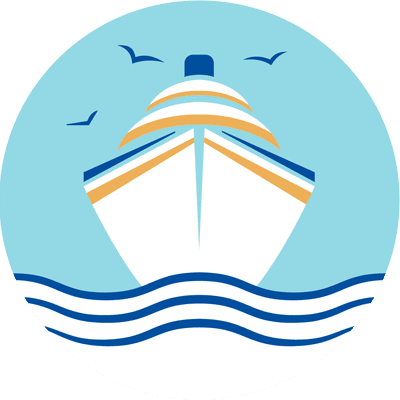 Drop us an anchor below to let your fellow travelers know about your experiences on the island to help them plan their own cruise vacation!